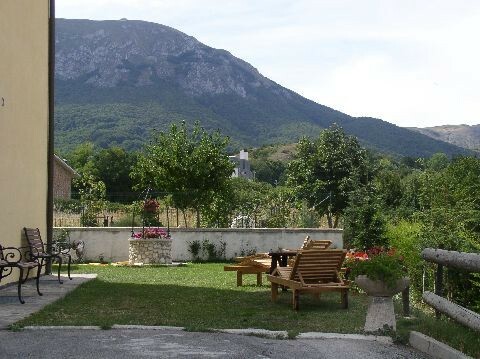 From €50 per person per night half board. 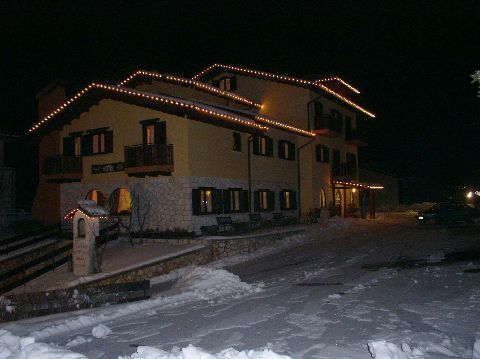 * Half board including buffet breakfast and evening meal. 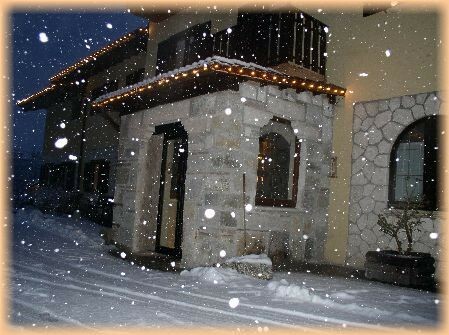 The Hotel Plateau delle Rocche is a charming, family run hotel located close to the centre of the small mountain town of Rocca di Mezzo (1,300 m) in the Sirente-Velino Regional Park. 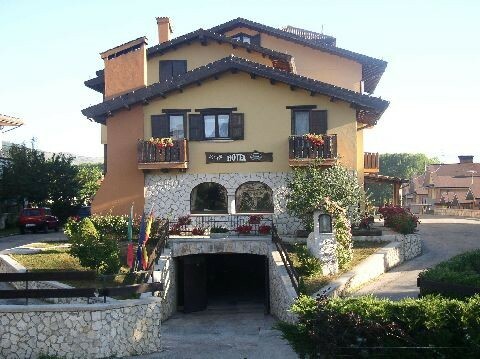 The hotel’s location, up a gentle slope close to the road, affords panoramic views of the the Appenine mountains. 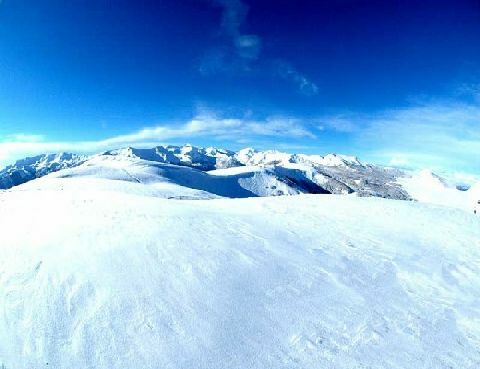 Rocca di Mezzo is conveniently situated about half way between the ski areas of Ovindoli (30 km of runs) and Campo Felice (30 km of runs) with a driving time to either area of about 10 minutes. 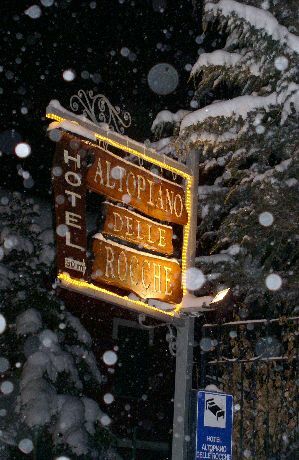 Built in an Alpine style in 1995, the Hotel Highland Consists of 26 comfortable guest rooms, sleeping from 2-4 people. Reception is on the ground floor adjacent to the cozy guest lounge and bar. 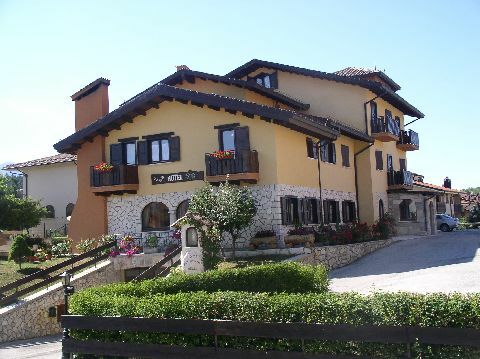 The equally charming restaurant serves breakfast and dinner, including local Abruzzo dishes. There is ample free car parking available in the hotel’s own car park. Inglese is spoken. There are twenty six comfortable and spacious guest rooms in the Hotel Plateau including eight That can sleep three people and another four That can sleep four. 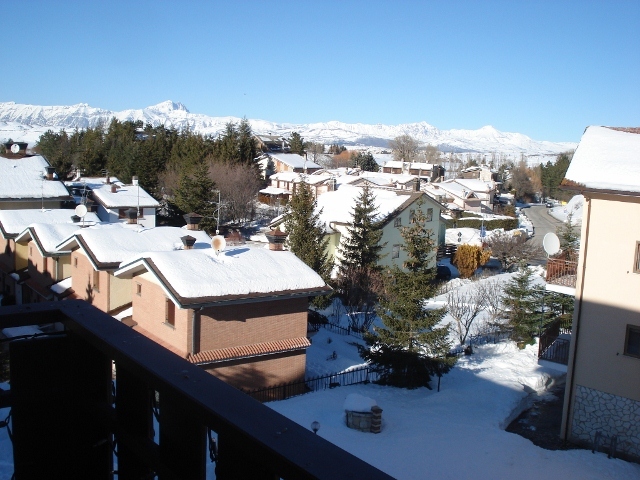 About half of the rooms have balcony and all have beautiful views of the nearby mountains. 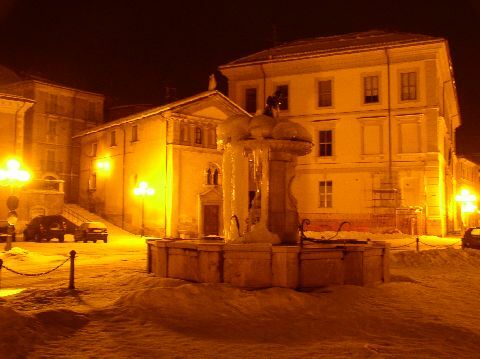 All rooms have private bathroom with shower and hairdryer. 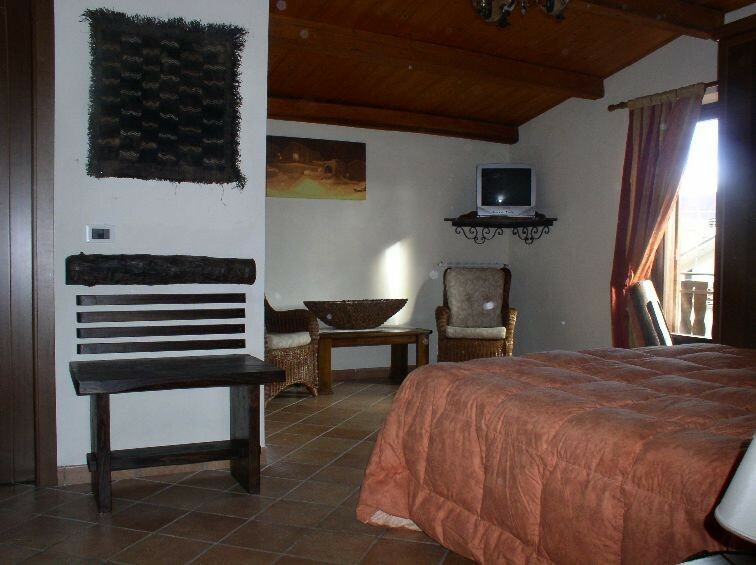 Each room has a telephone and TV, Although all channels are in Italian. 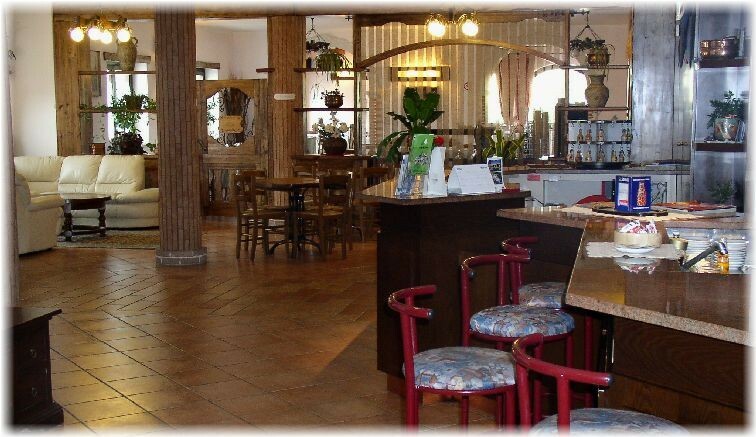 All meals are taken in the attractive hotel restaurant. A buffet breakfast is served each day and includes pastries, home made cakes, cheese and sliced ​​meats (eg ham and salami), yoghurt, cereals, fruit juice, jams, honey, Nutella and biscuits. A variety of hot drinks (tea, coffee, chocolate, milk) are freshly made at the bar. Dinner includes a choice of two first and second courses, with vegetables as well as dessert. Vegetarian options are available. 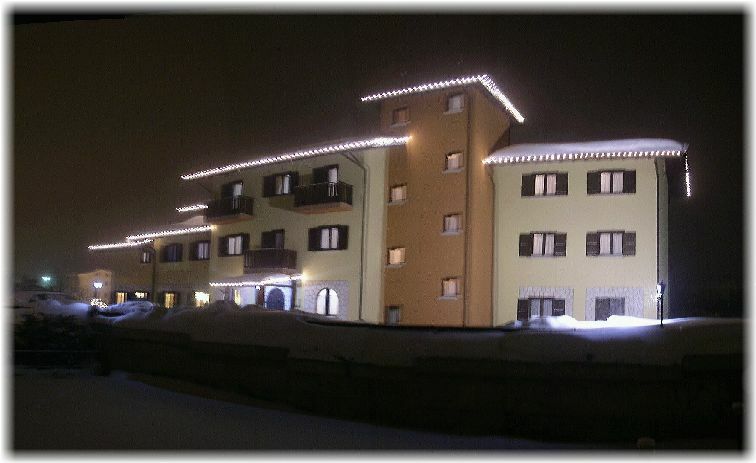 There is a ski deposit in the garage of the hotel, and free wireless internet is available throughout the hotel. The TV in the lounge has channels in Inglese.